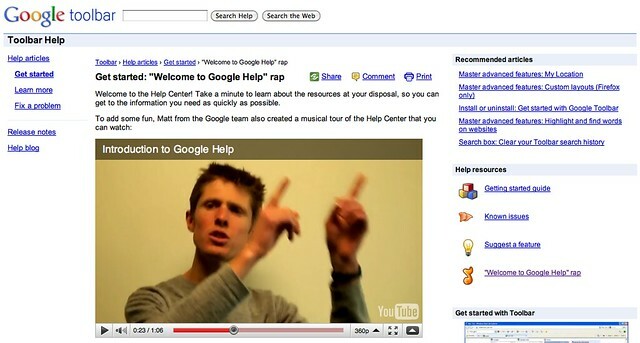 Since we cover search topics as discovered in help forums, I have no choice but to share this outstanding rap video by Matt (not Cutts) of Google. Matt is one of the people responsible behind Google's Help Center and he made a rap video describing how people can use it. My favorite spot on the web - it's the Google Help Center. And below them you'll see a Help Resources section. This Matt totally rocks, unlike the other Matt. Just kidding.